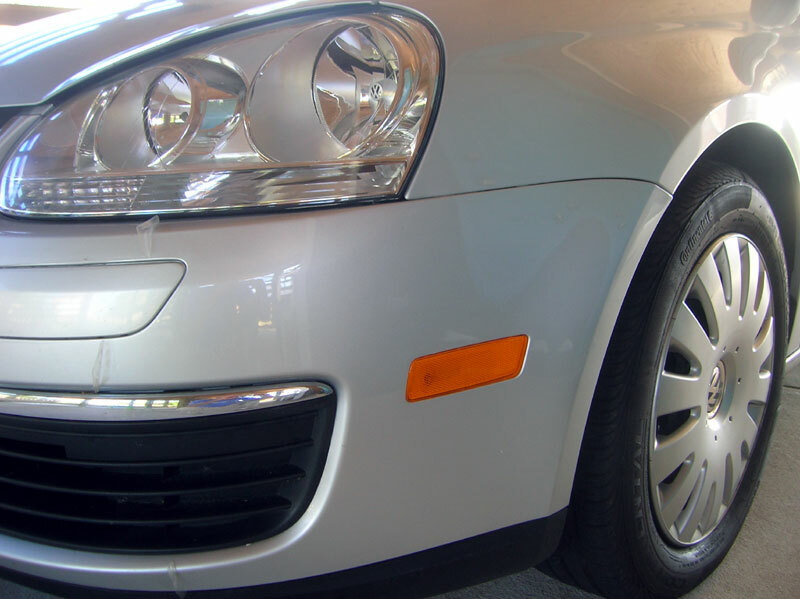 How Well Does Modern Armor Clear Bra Paint Protection Work? Are you looking to protect you new vehicles finish from being eaten away (along with the resale value) by sand and road debris? Thinking that paint protection film, aka a clear bra is the way to go? You are on the right track! Wondering if clear bra / paint protection film really works? You know is it really going to protect the paint??? Yes. The following Jetta was protected about 4 years ago by Modern Armor. The owner chose the Level 3 protection package (in the case of the Jetta : Full front bumper, more than half the of hood, matching front fender pieces and even the side view mirrors were covered). Fast forward about 4 years and bam, an unfortunate accident. Another vehicle turned while parallel to the Jetta and contact was made. The Jetta looked worse that the other vehicle, rumpled fender, broken reflector, and the bumper cover had significant tire transfer and heavy scuffing and scratching on the paint protection film. The body shop replaced the fender and broken reflector, but after peeling back the damaged 3M Clear Bra from the damaged portion of the bumper found NO PAINT DAMAGE AT ALL from the accident. Score a big one for paint protection film! 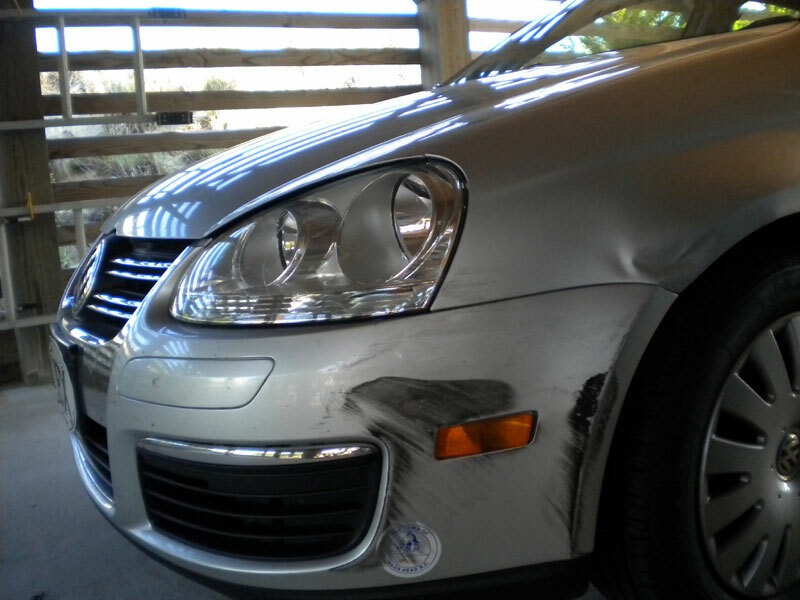 Damaged Volskwagen Jetta - Modern Armor Paint Protectin applied to entire bumper prior to accident. Damaged Volskwagen Jetta - Modern Armor Paint Protectin removed from damaged area on the bumper - no paint damage! Insurance covered the removal and replacement of the paint protection film and the owner preserves all of the original factory paint on the bumper cover! While installing paint protection film on your vehicle can't protect the finish from all that comes its way; it will go a long long way toward keeping the car looking great!